2. 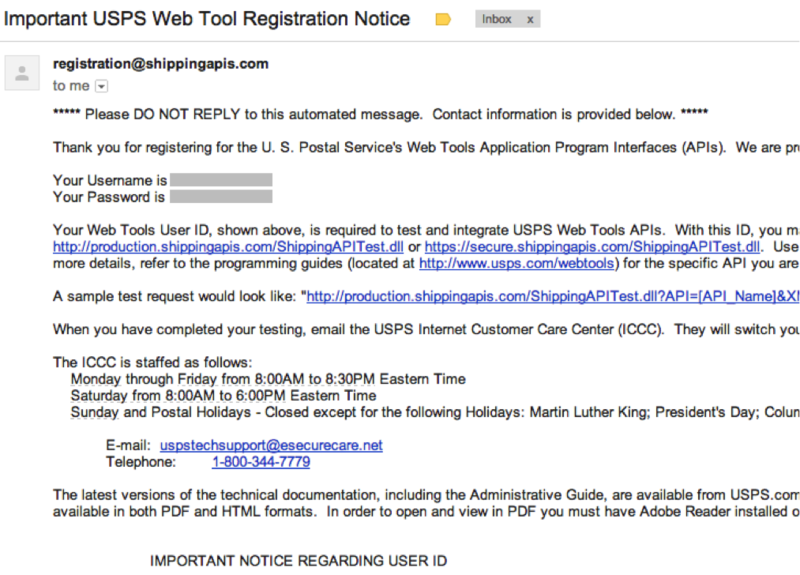 You will receive an e-mail with your USPS Webtools ID. 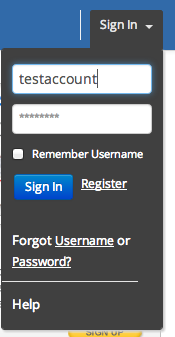 Copy the Username into your clipboard. 3. 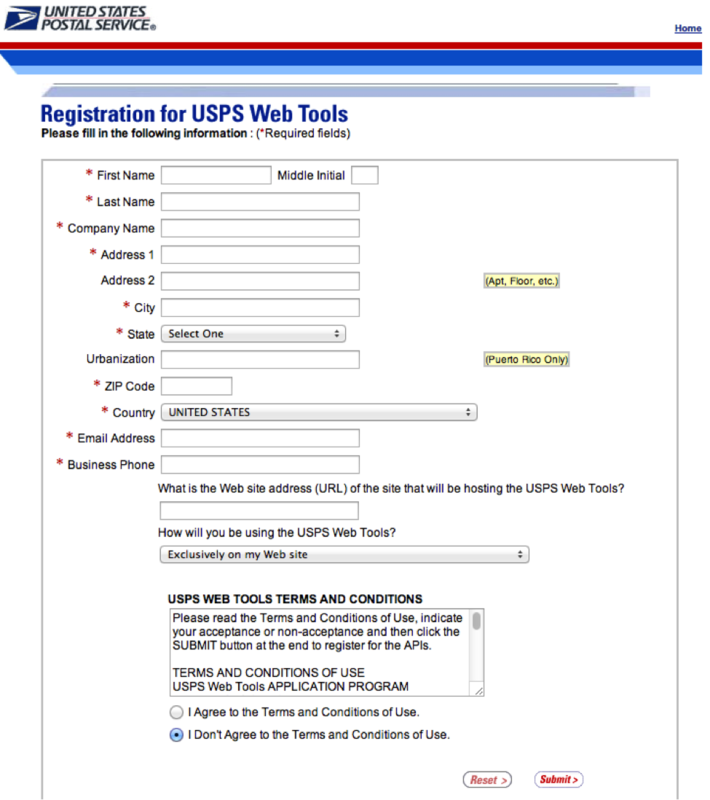 Paste your Username into the USPS Webtools ID box. 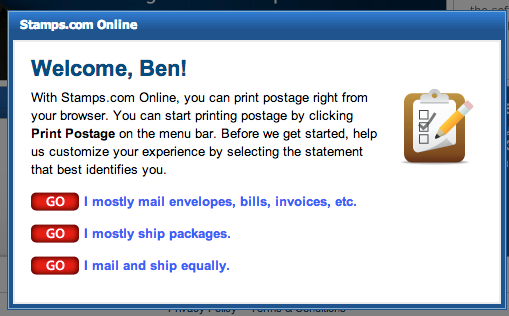 It is located under Settings -> Shipping. 4. At the bottom of the page, press Save Settings. 5. Call USPS at phone number 1-800-344-7779. 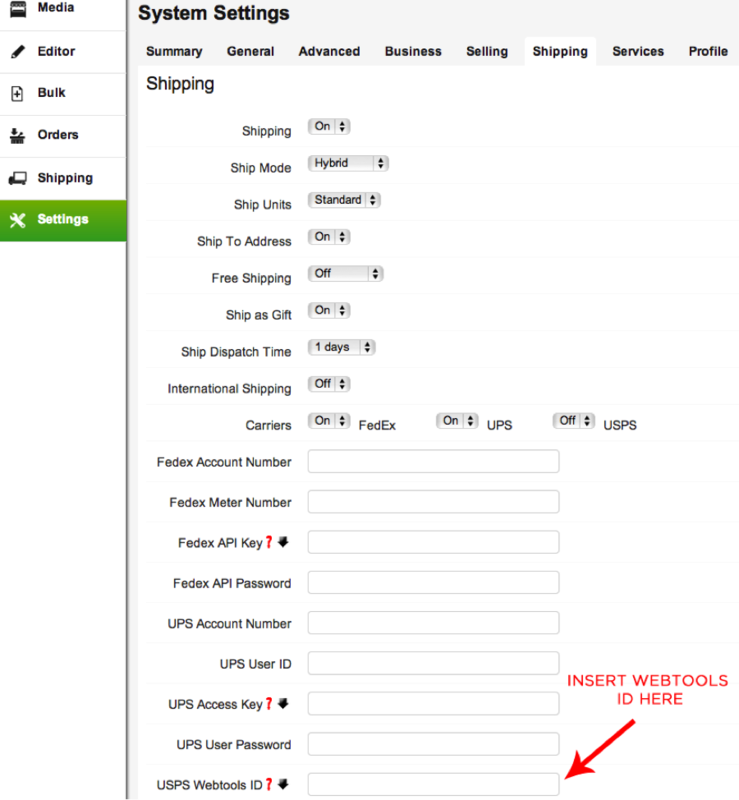 Tell them you are calling to get your Webtools ID activated for a 3rd party company and that you need production access. 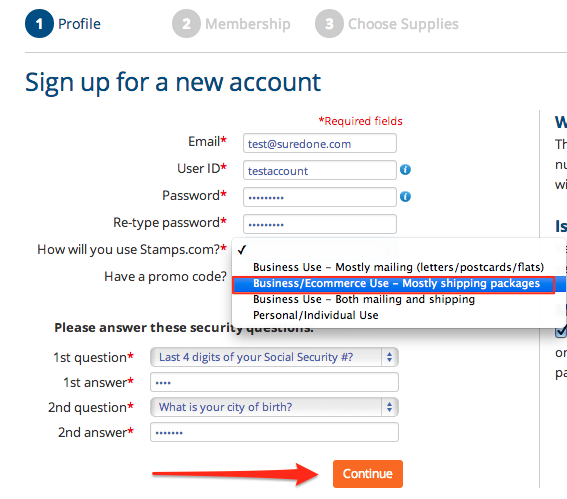 They will ask you for the User ID you recieved in the e-mail after signing up. It will take 2-3 minutes for it to be activated. 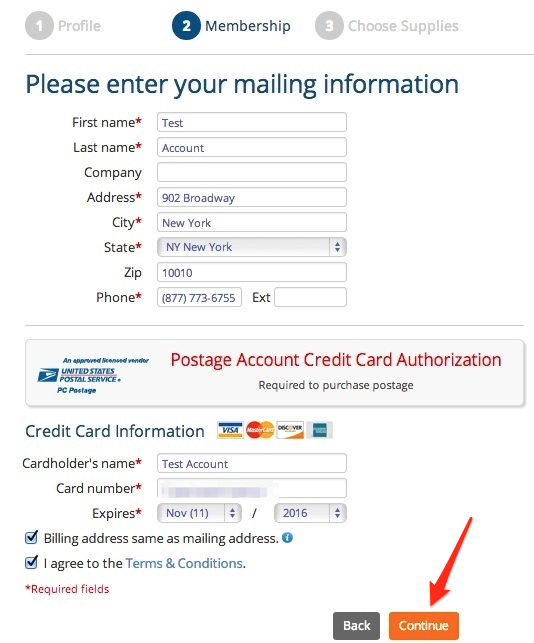 To Set up Payment for USPS Labels, you must have a Stamps.com account. Follow the steps below to set one up. 5. Select your Welcome Kit. If you do not need a scale, select Welcome Kit.